This species is not commonly seen but can be heard chiefly in areas where there are palms in wetter areas. 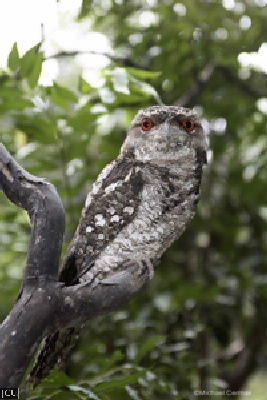 Upperparts grey to reddish brown with dark markings, underparts sometimes streaked, often with white spots. Legs and feet grey, eye red, bill grey.